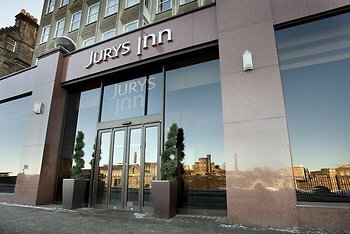 Hotel Jurys Inn Edinburgh, Edinburgh, United Kingdom - Lowest Rate Guaranteed! With a stay at Jurys Inn Edinburgh, you'll be centrally located in Edinburgh, steps from Princes Street and 4 minutes by foot from Royal Mile. This 4-star hotel is 0.4 mi (0.7 km) from George Street and 0.5 mi (0.8 km) from Grassmarket. The fact that the staff were interested in taking care of us. Very annoying drunk customers in bar. The location, so close to the royal mile and we are thinking of coming back for a longer stay in the summer. The reception booked a private hire taxi for me on leaving the hotel, and the driver charged twice the fare that the hackney from the bus station charged on my arrival. So my advice to future guests would be call your own hackney carriage or wave one down at the door of the hotel. Our room was not cleaned properly, cups not washed etc.. The corridor on the third floor smelt very strongly of must. The staff were helpful in every respect. They were able to recommend an excellent restaurant, quite pricey, but only three minutes walk away. The room was surprisingly large for the price. It was clean, and had everything you would expect in a city centre hotel, and it was quiet! The breakfast room was busy but the staff coped perfectly well. I could not fault this hotel. Breakfast room may have a problem if the hotel was full? It would probably involve a wait for a table. If I did not have my confirmation with me, The recepcionist would not have had a room.